6.9" x 9.0" stitched on 14 count. 5.4" x 7.0" stitched on 18 count. 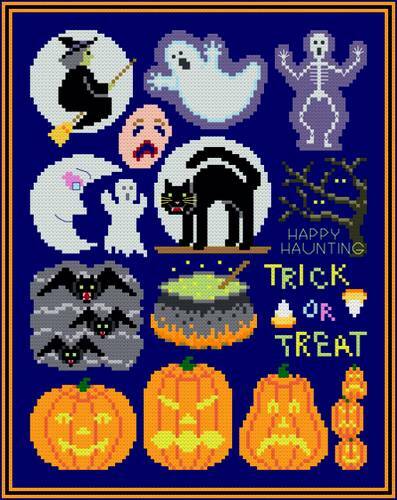 Halloween Collection cross stitch pattern... This collection of designs shows Halloween images. Glow in the Dark floss provides highlights. Images may be used separately or together. Small amounts of some flosses are used.